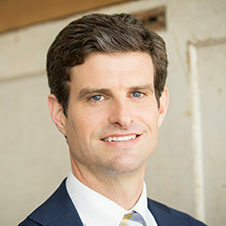 Chris Reeves is a Director of Investments of Humphreys Capital. In this role, he carries out investment activities including sourcing, underwriting, and recommending investments and dispositions to the Investment Committee. Chris began his 14 years of experience with MidFirst Bank, where, as a Vice President, he was personally responsible for a $500 million commercial real estate loan portfolio backed by a diverse set of properties across multiple markets. He focused on real estate financing, including project finance, investment funds, and REITs. Chris later served as a member of the executive management team of EnerQuest Oil & Gas, LLC. In his role as Vice President of Finance, he oversaw company financials, business development, leasing, contract negotiation, and surface and land activities. Chris joined Humphreys Capital in 2016. Chris earned a Bachelor of Business Administration in Finance from The University of Oklahoma in 2001. He and his wife, Melanie, have two children and live in Oklahoma City.